This Business was created out of my life's experiences. After caring for both my father, mother and neighbor, I began to see the great need to protect our elders in this new age. My name is Stevie Slaughter. This business is being created as a result my experience caring for aging folks. Here in the bay area, we are extremely busy with our jobs, kids, social lives....it seems we never stop running. As your parents and loved ones begin to age, you may find yourself in a very tough situation. 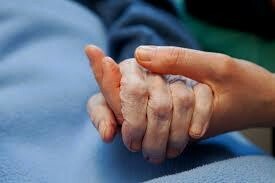 Caring for your loved one is potentially a part or full-time job. When my father was ill and began to decline, I needed to quit my job as a preschool teacher just to manage his care remotely. This care included managing all his financial and health affairs, talk him through panic, get creative with any needs he had as I did not live close, along with managing his health care and caregivers. I had very little family support. I also needed to come up with a financial projection on how long he could afford to live in his home and brainstorm the next step. He needed me there by my phone when he began to panic, my voice soothing his worried mind as his Alzheimer's progressed, my heart broke watching him decline but I felt honored to be there for him and comfort him to the end. There were times I wanted to quit and turn him over to a government agency, but I just couldn't bring myself to give up as I had no idea how this would impact him. Not everyone has the flexibility to quit their jobs, sacrifice the care of their immediate family and may have little or no support as I did, so this service was created for you. I know if you are here reading this site, you may already be in need. Please feel free to give me a call for a free consultation. I'd be happy to give you some tools to help you in whatever situation you are currently facing. If I am not able to help you, I most likely will have a contact who can. I am a California Licensed Professional Fiduciary and National Certified Guardian License #1047. I have completed my certifications as a Trustee and Conservator through CSUF.